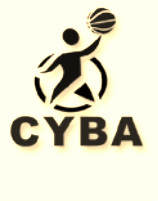 The mission of the Crookston Youth Basketball Association (CYBA) is to promote basketball for boys and girls attending school in Crookston, whether it is public, private, or home schooled. The Crookston Youth Basketball Association was formed in the early 1990's by a group of individuals interested in encouraging participation in youth basketball. The CYBA strives to give back to the community on a yearly basis. Below is a list of our community projects. Over the summer months, students keep track of the baskets they make and then are presented with certificates, balls, bags or sweatshirts (depending on their totals) at half-time during a varsity game. Registration fees of $30 per person for K - 2nd grades, $100 per person for 3rd - 6th grades, and $50 per person for 7th & 8th grades - with a $200 family maximum applied to K - 8th grades. If unable to pay, a CYBA board of director needs to be contacted to discuss further options. Anyone without a child who supports youth basketball in Crookston can be a member for $30 per year.